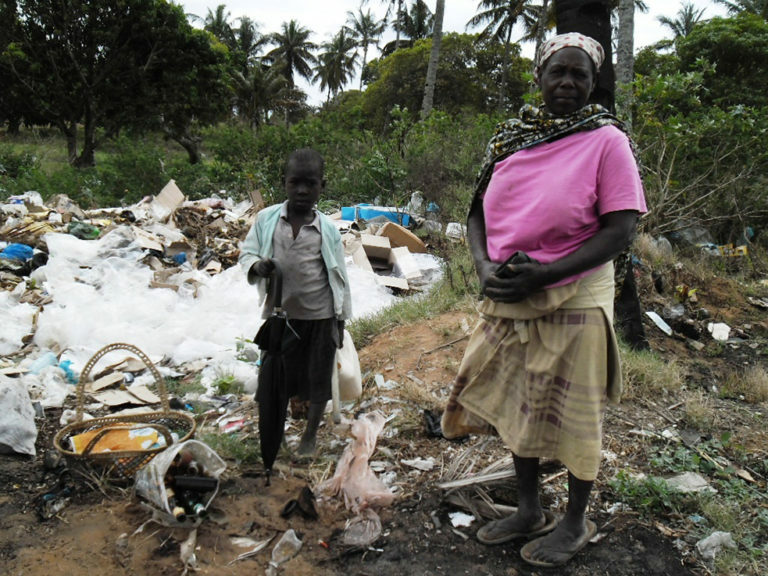 In Quelimane, in the north of Mozambique, the huge production and poor management of waste are having devastating environmental effects and are forcing the local population to live in very bad health and hygienic conditions. Project objectives: to strengthen the co-operation between local authorities, civil society and the private sector for the collection and management of urban solid waste. In particular, to support the municipal company in charge of waste management and to create small- and medium-sized firms to be involved in activities related to waste collection, composting and recycling. Small or large landfills at almost all street corners, the unpleasant and pungent smell of rotting rubbish, the presence of insects and rats among the daily waste of homes, restaurants and shops. This is a first impression – that remains an indelible experience of both memory and nostrils – of those who visit Quelimane, the fourth largest city in Mozambique. Outside the city centre, sewage penetrates the soil polluting the land and the water-bearing layers. As well as causing great environmental damage, this also represents a serious risk to the population’s health. The city of Quelimane currently comprises 44 districts and is rapidly expanding. More residents means more waste, but containers and bins are not enough and the collection service is disorganized; on top of this the citizens themselves are proving to be negligent. Every day I see people rummaging with their bare hands in the rubbish among food scraps, paper and plastic bottles, looking for something they can re-use: a woman finds mismatching supplies to take home. 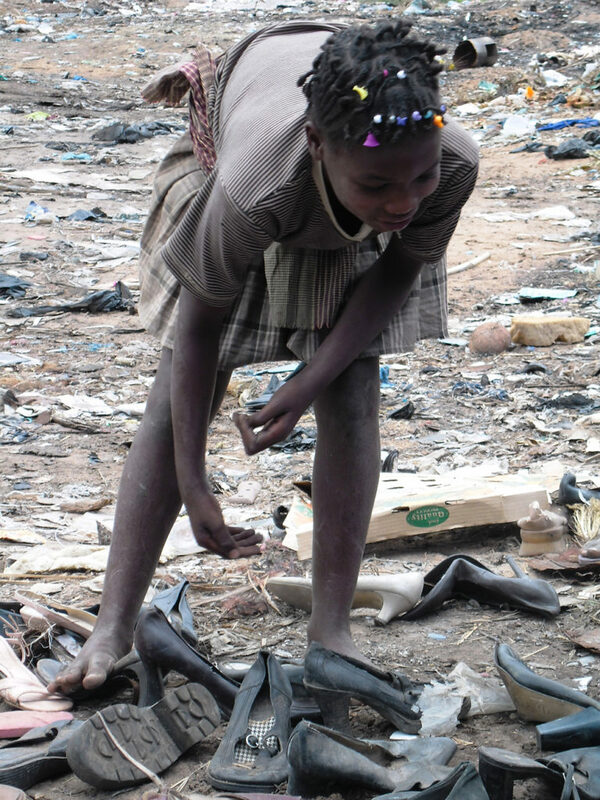 A child tries on a worn-out T-shirt, a girl takes a couple of shoes too big for her. This calls for action on several areas: on the one hand through the distribution of means for the collection and transport of rubbish, as well as containers to be installed in strategic places around the city, such as markets and bus stops. On the other, through the technical training of the sector’s operators and awareness raising of the population on the importance of proper waste disposal and on the health and hygiene consequences of an unhealthy environment. We believe that the co-operation between local authorities, civil society and private companies on waste management can stimulate local development and good governance. We will meet students from 7 schools; we will organize theatre activities and broadcast radio spots to raise awareness in the general public on environmental protection and the reduction of rubbish. We will train 274 people between ecological operators, members of associations and farmers on proper waste disposal, plastic recycling and composting of organic waste; finally, we will support the creation of small businesses through micro-credits together with technical training and ongoing support. 6 micro-businesses will take care of waste collection and sorting: one will recycle plastic, the other will transform organic waste into compost. As well as improving the hygienic and environmental conditions of the city, these activities also represent an important opportunity of employment, and therefore livelihood, for about 60 families. My name is Marco Andreoni, I am 42, I have spent 26 years in Africa, and I am the project manager. 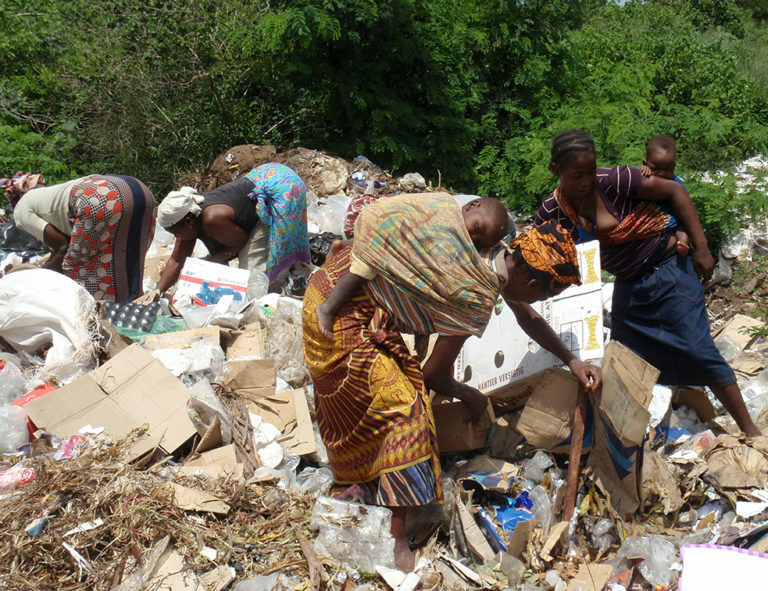 Faced with insufficient and inefficient rubbish collection and the lack of a rubbish sorting and recycling system in the municipality of Quelimane, CELIM aims to improve the hygienic and environmental conditions in this African city, by strengthening the collaboration among the various parties involved (local authorities, civil society and private sector). promoting the use of compost among farmers.